Placing your dog in the care of someone else is worrying. Fortunately, there are many dog boarding and pet sitting services that offer personal and premium services. What distinguishes these services from each other, though? What makes the best dog boarding and dog sitting services stand out? Choosing from these pet sitting and boarding services is a personal decision. To decide the best option for you, consider your dog, their needs and your budget. You'll also need to make sure that the availability of service and sitter availability matches with your needs. While one service may not have it all, you want to get the most out of the one you choose. And remember, just because you've found the best dog boarding or pet sitting service doesn't mean the person who shows up to care for your dog will be a match. Allow your pet some time to get to know their new caregiver before you leave them alone with the new person. Observe your dog around the sitter. Is he comfortable? Is he showing signs of stress? You don't want to leave your pet with someone that they don't like while you're away. Just like humans, dogs make judgements about people. It doesn't matter what the reason is, if your Fido is uneasy around someone, it's not fair to leave him with that person when you are not around to care for him. 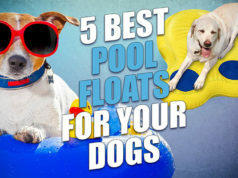 First thing is first, you need to find the best dog boarding or pet sitting service before you worry about the worker that will be dealing with your dog. Let's take a look at the services offered and how to choose the right one for you. Not every pet sitting or boarding company offers the same selection of services. Take a look at these services and their definitions. When you're looking for the best dog boarding or pet sitting company, make sure that they offer all of the services that you will be needing. Boarding: This is sometimes used interchangeably with “pet sitting”, but can also be used to refer to your dog staying with your pet sitter full-time in their home like a lodger until you return. Pet Sitting: This is where your dog goes to the pet sitter’s home and stays with them for the duration of service. This can include daytime and night time, only daytime, or only night time. In-Home Pet Sitting: In-home pet sitting involves the pet sitter coming to your home and staying throughout days and nights until you return. Overnight Visits: An overnight visit is where a pet sitter will come to your home and stay overnight with your dog. Drop-In Visits: This is a brief drop-in visit where your dog is fed, taken to the bathroom, or given medication. These visits generally last 15 minutes to 30 minutes. Doggy Daycare: This is an hourly or daily service that provides your dog with playtime and companionship (human or animal) during the day while you are at work. Some companies charge per night, some charge per service, and some charge per hour. Compare the fees charged in your area for each service and see which is best for you. You don’t have to go with the cheapest or most expensive service, but you do want to ensure that a company is not overcharging. Customer service refers to the availability of the hiring company or a pet sitter for questions, complaints, or emergencies. It’s important to always have access to contact information and if a company is reluctant to provide it, this is your sign to hire someone else. A pet sitter or pet sitting company MUST be insured. Preferably, they will be insured and bonded. Insurance covers the cost of various accidents or events that may take place when your dog is in their care. Different companies offer different types and levels of insurance. As a pet owner, you want maximum coverage to ensure that you aren’t left footing the bill if something happens. Bonding is insurance that covers a hiring company in the case of theft by an employee. 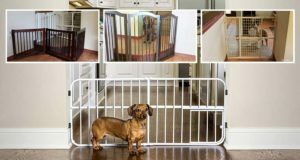 For example, if you hire an in-home pet sitter and during their service they steal something from your home, if the best dog boarding agency or pet sitter is found guilty of the crime, the bonding company pays for the cost of the stolen item. Why should you care about bonding? Just because someone is found guilty of theft does not mean that your item will be recovered or that they will be able to pay for the cost of the item that they took. Bonding ensures that you at least recover the cost of your stolen item. Daily updates are a pleasant reminder that your dog is in good hands. Many of the best dog boarding and pet sitters now provide text or email updates with photos or videos. Some pet sitters even offer phone call updates! Rates for the best dog boarding and pet sitters vary, but are scaled from $10 to $150 per night depending on services, dates and pet sitter experience. The average price for one night of pet sitting in a pet sitter’s home in Raleigh, NC is $30 to $35. All fees are payable online through the secure Rover.com platform. Rover.com offers a full database of frequently asked questions and answers online. They also offer an online community where pet sitters and clients can ask and answer questions. For more personal questions, e-mail support is offered to both clients and pet sitters. Lastly, customer service is available via telephone for immediate support as well as for emergency contact for pet sitters experiencing difficulties. 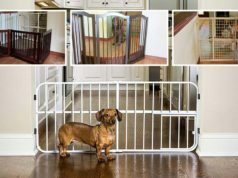 Rover.com offers insurance for their pet sitters and their customers. There are some exceptions to coverage and details on what is and is not covered can be found on their site here. Daily updates depend upon the pet sitter selected., and Rover.com offers services in the United States and Canada. Rover requests that you fill in a full survey to fit you with the best pet sitter for your needs. Questions include the size and age of your dog, whether your dog gets along with cats and whether your dog gets along with other dogs. Pet sitters can also be selected based on whether or not they have children, whether they have a house, whether they are first-aid certified, whether they offer senior or puppy care, whether they have their own dog, whether they also care for cats, and whether they offer RoverGo! Service. RoverGO! Is a service that caters to frequently used pet sitters who have high availability and are able to quickly set up services with you. If you refer a pet sitter to Rover there is a $50 bonus paid to you. Care.com also offers pet sitting services for a wide variety of animals including amphibians, horses, farm animals, and exotic pets. Care.com works like a classified ad that is posted directly to a network of pet sitters. Ads are listed based on the “per hour” rate you are willing to pay. When posting your ad you have the option of choosing anywhere from $10 to $50 per hour. The average cost for pet sitting in Raleigh, NC is $11.25 per hour. Additionally, Care.com has a membership fee that must be paid monthly in order to access their system. This membership fee allows you to contact caregivers, access background check options and see references of pet sitters. The cost of this membership is $10/month for a 12-month subscription, $15/month for a 3-month subscription, or $25 a month for a 1-month subscription. A free account option is also made available, but this option is so limited that it only allows you to invite a select number of applicants to your job. This option also gives you very little access to information about the best dog boarding and pet sitters. Payment for pet sitting services can be made via credit card, cash, check or Care.com can cut a payroll check for some employers. Care.com offers an online help center with frequently asked questions and answers. Unfortunately, this FAQ section is for ALL services that Care.com offers including childcare, pet sitting, and elderly care. This makes it quite difficult to find answers to questions. Care.com offers support options via Facebook and Twitter, as well as an e-mail ticket help option. Finding a contact number for Care.com services is next to impossible. Care.com pet sitting services are covered by pet care insurance, but there are exclusions and limitations as to what is covered. Details on coverage can be found on their site here. Daily update availability depends on the pet sitter hired for the job, and Care.com services are available in the United States and Canada. 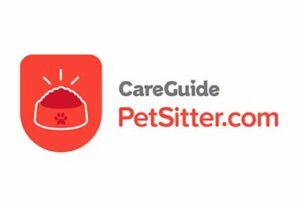 Care.com offers you a wide selection of add-on services that you can request from your pet sitter including bringing in the newspaper, watering plants, administering pet medications, etc. 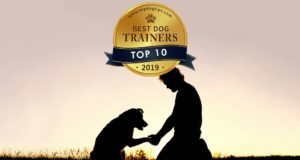 You also have the opportunity to select the best dog boarding facility or pet sitter who guarantees their own transportation, who has first aid certification, and who is a non-smoker. Care.com has a larger selection of pet sitters than Rover at the moment, however, they make finding information on their site difficult. Additionally, without paying the monthly membership fee, access to pet sitter information is quite limited. $60 per day for pet sitting in a pet sitter’s home in Raleigh, NC. Costs for other services vary depending on time period, additional services required and location. Fetchpetcare.com makes their contact information very visible with a telephone number on their site and online scheduling services. If there is an online FAQ database or community for questions, it is not easily visible. Fetch does, however, offer an online database of articles on general pet health. All Fetch pet sitters are bonded and insured, however, finding any information on that insurance coverage on their website is impossible. Daily updates are available to all clients with text, email, and phone call updates as requested. Additionally, all pets are issued “report cards” after their services are complete. Fetch Pet Sitting services is a franchise company and currently, services are only available in select states. You can find a map of these locations on the Fetch website here. Fetch Pet sitting services appear to be smaller franchises in many of their locations, this means that they offer only a couple of the best dog boarding facilities and pet sitters for an entire area. Fetch offers “backup” sitters for every scheduled appointment to ensure that you are never left without a sitter. Fetch also offers a free in-home consultation for all clients. Despite being “personable” with service, Fetch makes you bend over backward to get any information about their services and their pet sitter selection doesn’t measure up to the competition. Pricing varies depending on the pet sitter, service, or location selected. The average price for pet sitting in Raleigh, NC is $10 to $15 per hour. Some of the best dog boarding facilities and pet sitters do not advertise pricing on their profile and you must contact them directly for pricing information. Petsitter.com is based out of Canada, however, their contact information is easily accessible via their website. They also provide access to social media links and online support. Online support offers FAQ and answer access as well as the option to submit an email ticket. There is no mention of insurance coverage on the Petsitter.com website nor is there any reference to it in the FAQ section of the website. Daily updates depend on the pet sitter selected, and Petsitter.com offers services in the U.S. and Canada.